Love love me too, you know I Love You…. 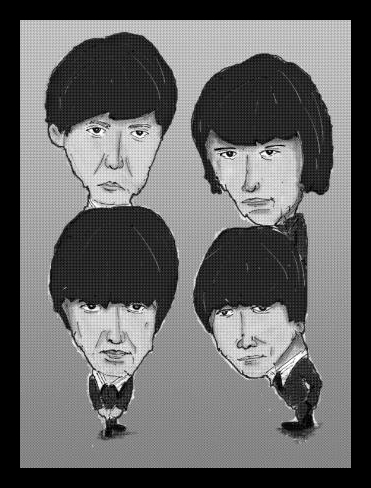 The Beatles were an English rock band, active throughout the 1960s and one of the most commercially successful and critically acclaimed acts in the history of popular music. Formed in Liverpool, by 1962 the group consisted of John Lennon (rhythm guitar, vocals), Paul McCartney (bass guitar, vocals), George Harrison (lead guitar, vocals) and Ringo Starr (drums, vocals). Rooted in skiffle and 1950s rock and roll, the group later worked in many genres ranging from pop ballads to psychedelic rock, often incorporating classical and other elements in innovative ways. The nature of their enormous popularity, which first emerged as "Beatlemania", transformed as their songwriting grew in sophistication. They came to be perceived as the embodiment of ideals of the social and cultural revolutions of the 1960s.